Jennifer's life has intersected with the areas of adoption and family building since she was a teen. Her adult goddaughter is an international adoptee from Korea who was adopted when Jennifer was 18 and her adult nephew is a domestic adoptee who was adopted when Jennifer was beginning her solo career. She, herself, underwent fertility treatments to become a parent and has found assisting others in buidling their families through adoption and/or ART rewarding. She has a compassion and vision for famlies unmatched by others in the area and limits her practice to these areas of the law to ensure she can provide the best service to her clients. She is a Fellow of the Academy of Adoption and Assisted Reproduction Attorneys ("AAAA"), the lead organization in family building through Adoption and ART. 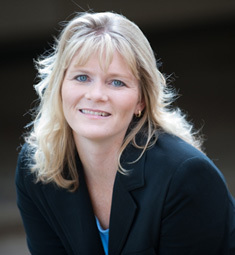 Jennifer served on the Board for four years before serving as Vice President in 2017. She was awarded the Academy's President's Award for her Leadership, Dedication, Fairness and Vision for Adoption and ART in 2018. Jennifer is admitted to practice law in Maryland, Virginia and the District of Columbia. She is also admitted to practice before the United States Federal Courts in Maryland and the United States Supreme Court. Jennifer handles domestic agency and independent adoptions as well as matters clients involving donor and surrogacy options including the use of egg, embryo or sperm donors. She represent all types of families including single parents, married or unmarried heterosexual couples, gay and lesbian (lgbt) parents and grandparents. She represents expectant parents, birth parents and adoptees in uncontested adoptive placements. Jennifer's extensive adoption experience includes second parent adoptions, stepparent adoptions, international re-adoptions, adoptions through foster care systems, agency adoptions, and private adoptions. Her client centered practice is unmatched by anyone else. She also assists clients through the legal process, including navigating the Interstate Compact on the Placement on Children (ICPC) process for domestic adoptions, the Indian Child Welfare Act (ICWA) and the re-adoption and/or finalization process for international adoptions. Jennifer also has extensive experience working with clients who are interested in growing their families through the use of assisted reproduction technology (ART), whether using a gestational carrier (surrogate) or a donor. Jennifer represents egg donors, sperm donors, embryo donors, surrogates (gestational carriers) and intended parents. She has obtained birth orders both pre-birth and post birth, handled birth certificate amendments in Virginia and assisted many clients in ensuring their parental rights are secure. Jennifer is highly regarded in the adoption field having authored the "go to" book on adoption for Adoption Professionals, speaking before prospective clients, law students, attorneys and the Judiciary and appearing on television and radio. Jennifer is the 2013 recipient of the Maryland State Bar Foundation Legal Excellence Award and the author of the "The Adoption Law Handbook" published by the ABA in 2017 which sets out best practices for the adoption attorney and other adoption professionals. Jennifer is Past President and served on the Board of the Center for Adoption Support and Education which provides adoption related counseling and support services for all members of the adoption triad. They can be found at www.adoptionsupport.org. Jennifer has been featured on the Paul Samakow Radio Show talking about Adoption and ART in the United States and on the television show "Making It Last" talking about adoption. For more on her background, she was recently featured in Metro Weekly for her service to family building clients. Jennifer has been a Maryland and Washington, D.C. Super Lawyer since 2015 and continues to hold that distinction through 2018. Super Lawyers is a rating service of outstanding lawyers from more than 70 practice areas who have attained a high-degree of peer recognition and professional achievement. A previous Court Appointed Special Advocate through the CASA program, Jennifer currently is often appointed as an attorney representing children and birth parents in adoption cases. She has been rated as a preeminent attorney by peers and clients receiving an AV* rating from Martindale-Hubbell since 2015. An AV certification is a significant rating accomplishment reserved to only 20% of all attorneys rated nationwide. You can see her listing at: http://www.martindale.com/Jennifer-Fairfax/628067-lawyer.htm. Jennifer was also rated a 10.0, the highest rating available by AVVO based on an attorneys reviews, experience and ethical standards. Information about her on Avvo is at: www.avvo.com. In 2015 - 2018, Jennifer was named a "Best Lawyer in Washington, D.C." and was the only attorney who exclusively practices adoption and surrogacy law named to the list. Jennifer routinely works with stakeholders, legislators and council members on legistlation related to both adoption and ART. She was an intregal part of getting the Collaborative Act on surrogacy passed in DC in 2017 and has been working to achieve similar success in Maryland. Academy of Adotion and Assisted Reproductive Technology Attorneys.